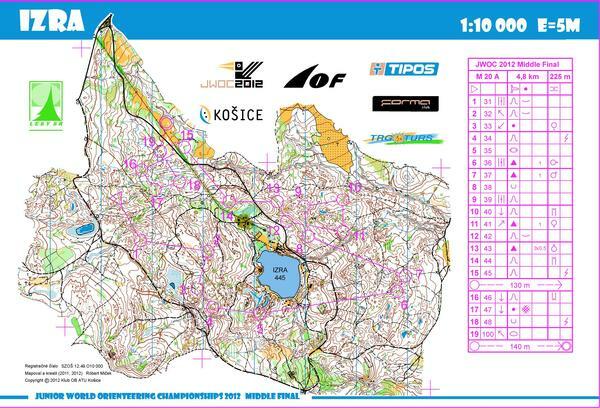 New Zealand orienteer Matthew Ogden has won the Middle Distance Junior World Orienteering Championships in Slovakia. Ogden completed the 4.8km course in 27min 55sec, 13 seconds ahead of Jan Petržela from the Czech Republic. The forest used for the race was steep in parts with intricate terrain detail including gullies and marshes. Only the top 20 competitors from each of the three qualifying heats, held the previous day, went through to the A final. The remainder competing in the B and C finals. Nick Hann, from New Zealand, also qualified for the A final, finishing in 21st place.. The best New Zealand result for the women was Laura Robertson finishing 27th in the A final.